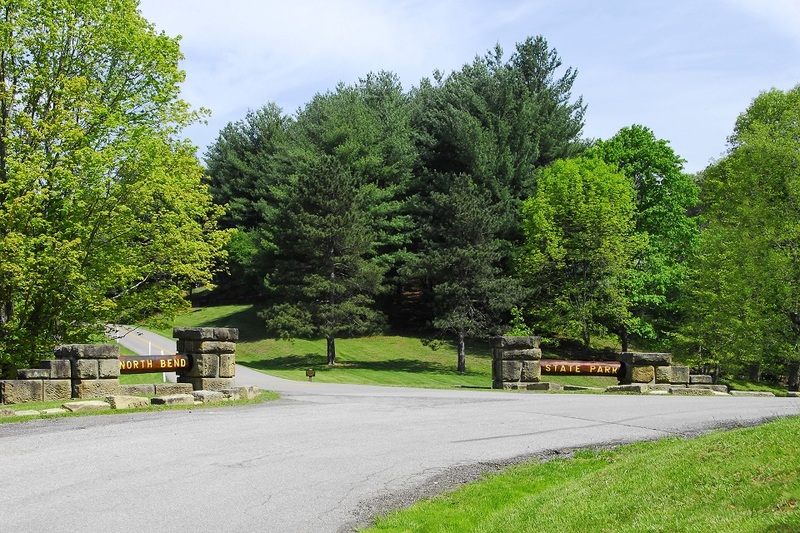 Found among the Mid-Ohio Valley’s rolling hills, lakes and streams, North Bend State Park offers a multitude of recreational facilities in a beautiful pastoral setting. Named for the horseshoe curve of the North Fork of the Hughes River, this year-round park is lush with fishing streams, hiking trails and abundant wildlife. Located near Cairo and Harrisville, North Bend State Park is best known for the 72-mile North Bend Rail Trail, which follows an abandoned B&O Railroad corridor with several tunnels along the way. Reservations may be cancelled at any time for a credit toward a future reservation equal to the total amount paid. For Cabins: Reservations cancelled at least 60 days prior to arrival may request a refund for the amount of the deposit paid. For Lodge Rooms: Reservations may be cancelled at least 2 days prior to arrival may request a refund for the amount of deposit paid. For Cabins: A deposit of 50% is required at time of booking. Remaining balance is due 7 days prior to arrival. For reservations made within 7 days, full rental fee is required at time of booking. For Lodge Rooms: A deposit of first night's room and taxes is required at time of booking. Remaining balance is due at check in. Guests may check in at 4 p.m.
Checkout is at 10 a.m. for cabins.and 11 a.m. for lodge rooms. Pets are welcome in designated pet-friendly cabins and lodge rooms for a fee of $20 per day. Dogs and cats are the only pets permitted in state parks and forests. Pets must be leashed and restrained. To book a pet friendly lodge room at North Bend State Park please call 304-643-2931.